Given their similarities in appearance, the question of the relationship between the origins of the Hurdy Gurdy and the lute/guitar is an interesting one. 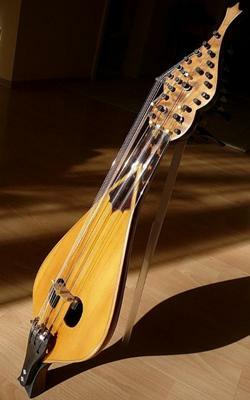 The origins of the Hurdy Gurdy lie in the Byzantine bowed instruments such as the Lyra, which is also the origin of modern bowed instruments such as the violin. A predecessor of the Hurdy Gurdy, as depicted in the Santiago de Compostella sculpture (MdJ's post) is called an Organistrum. This was played by two people and in interestingly first appeared in Northern Spain which of course is a region synonymous with guitar history. 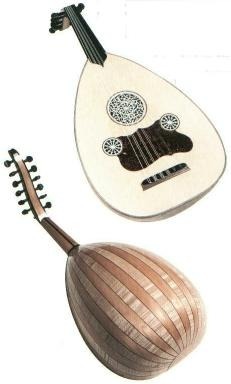 Meanwhile the lute was descended from middle-eastern instruments such as the al'oud (from where the term lute was derived), which were by and large plucked with a plectrum of some sort. The lute also was plucked with a plectrum initially, but later during the renaissance lutenists developed the technique of employing the fingers to suit the popular polyphonic style of music of the era. Join in and write your own page! It's easy to do. How? Simply click here to return to guitar history forum.